Walking for friends, fitness, and fun! 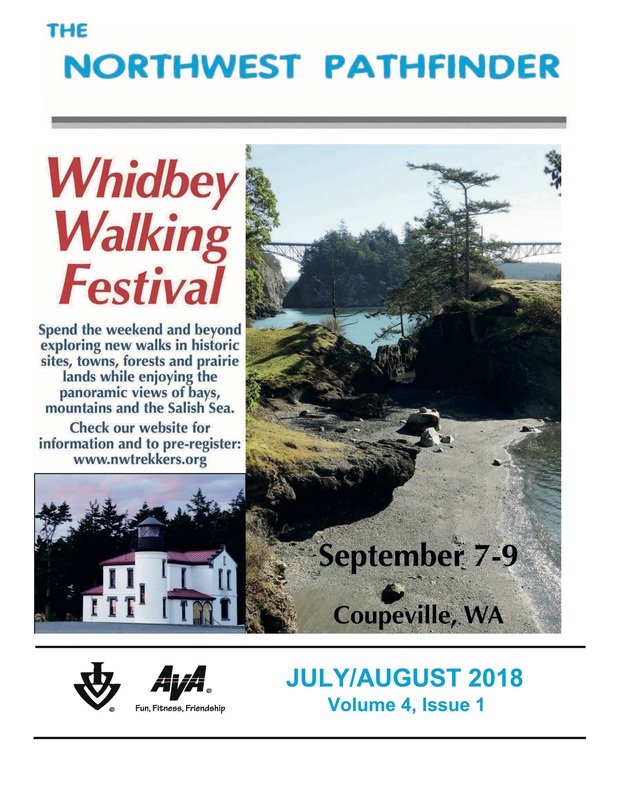 The Northwest Pathfinder is the official newsletter of the Pathfinder Volkssport Club of the Northwest published bimonthly with information about upcoming events in both Washington and Oregon. It contains a wealth of information about volkssporting including awards, credit, trail ratings, member clubs and their officers, and an event locator map. 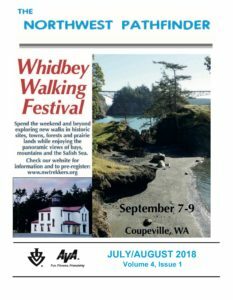 The newsletter is sent to all Active and Associate Members of the Pathfinder Volkssport Club of the Northwest. Annual membership dues are $12/$25 (Foreign Delivery – US funds) Annual dues revised to $14.00 on April 7, 2019 due to increases in paper and postage.